Stand out in your quince with Pantone’s color of 2015. According to their website, marsala is “a naturally robust and earthy wine red.” There are many ways that you can add light touches of the bold, trendy color of the year to your quince, from your accessories to your dress to the decor. 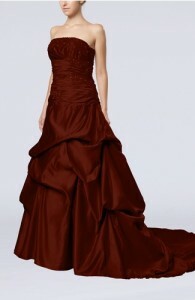 You can pick the color of your dress to be Marsala– a color of control and sophistication. 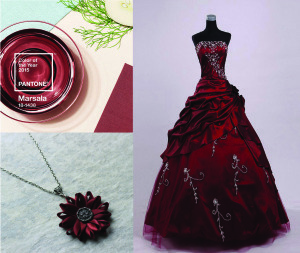 For your quince, wearing marsala can also symbolize that you are not only physically ready to get into adulthood, but also mentally ready to get into adulthood. 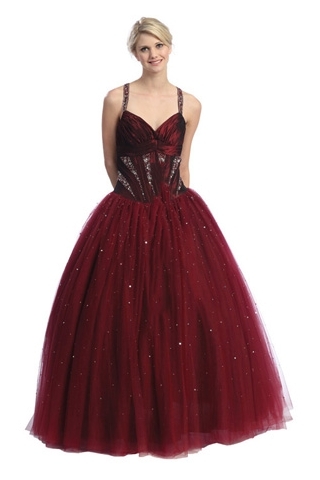 This rich color along with embellishments of jewels, several layers of ruffles, and beading on bodice, bring out both glamour and maturity. Invitations are a key part of your quince; so why not take some time to select one that looks fresh and will make an impact? 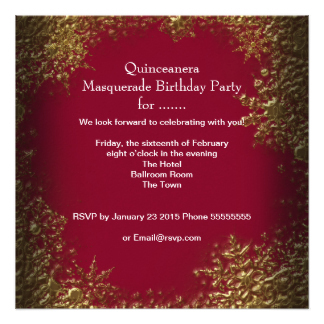 A marsala-colored invitation can be quite an attention-getter, and will really pop with white text and gold touches. 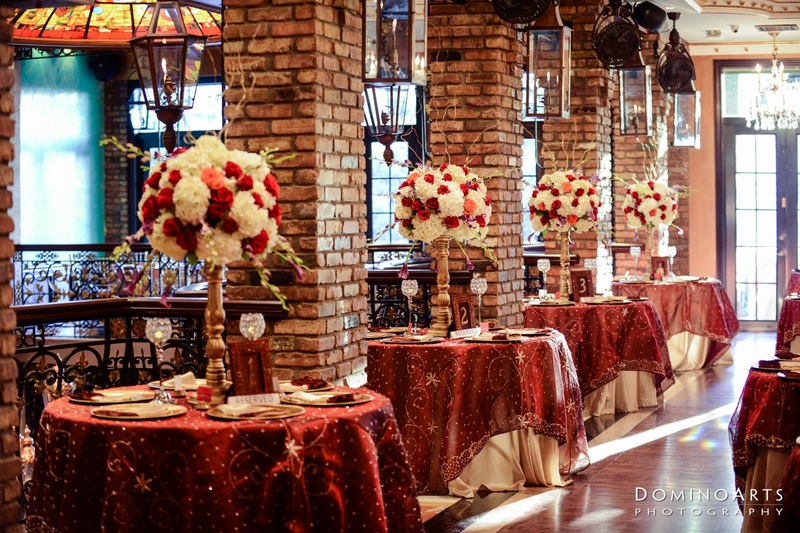 Decorate your quince venue with a variation of light and deep colored flowers. 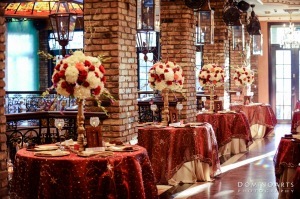 Perfect marsala-colored flowers are roses, orchids, peonies, and carnations. Brighten your floral centerpieces by mixing white or yellow flowers along with a variation of fillers with the marsala-colored flowers and you will bring a warm and bright atmosphere to your quince. Marsala is elegant and adds the maturity you want to flaunt, and one of the many appealing ways that you can use this shade is by accessorizing. 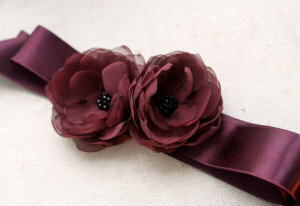 Try a beautiful bracelet, belt, or sash in marsala like this sash with beautiful flowers and beads work the best. 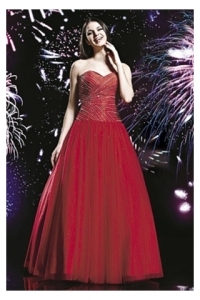 A perfect accessory for almost any colored dress you choose for your quince especially a light pink! Complement your marsala-colored accessories with Dune Gwyneth marsala-colored shoes. These platform satin heels come with an adjustable strap for a stylish look and comfortable feel. This deep and rich color can also be a good way to show your readiness to approaching adulthood during your big day! Need something to carry your belongings such as your cell phone and make-up? This Chelsea Burgundy Diamante Womens Clutch Bag (Lexus) has a nice decoration of ribbon and diamonds on the side, bringing a subtle but powerful appearance to the clutch itself. 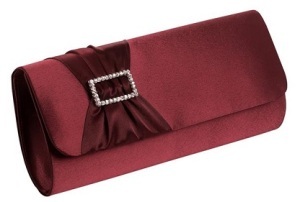 A marsala clutch is just enough to catch everyone’s eyes as soon as you walk into the venue. 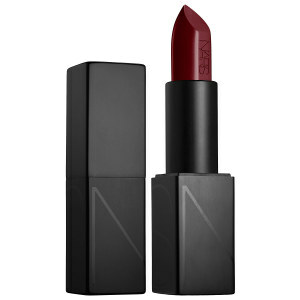 Complete your quince look with a deep marsala, a medium between brown and red, NARS lipstick. Of course, one of the most important parts of your appearance is the color of the lipstick you apply on your lips. So, draw attention to your face and bring a brighter glow to your skin tone with this color! Although Marsala may not be as bright and energetic as other colors, it is a color that can show your readiness to approach your coming of age. 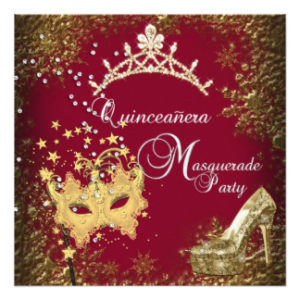 By adding a touch of marsala to any aspect of your quince, Quince girls, you will be able to show your guests that you are truly prepared for what lies ahead of you.